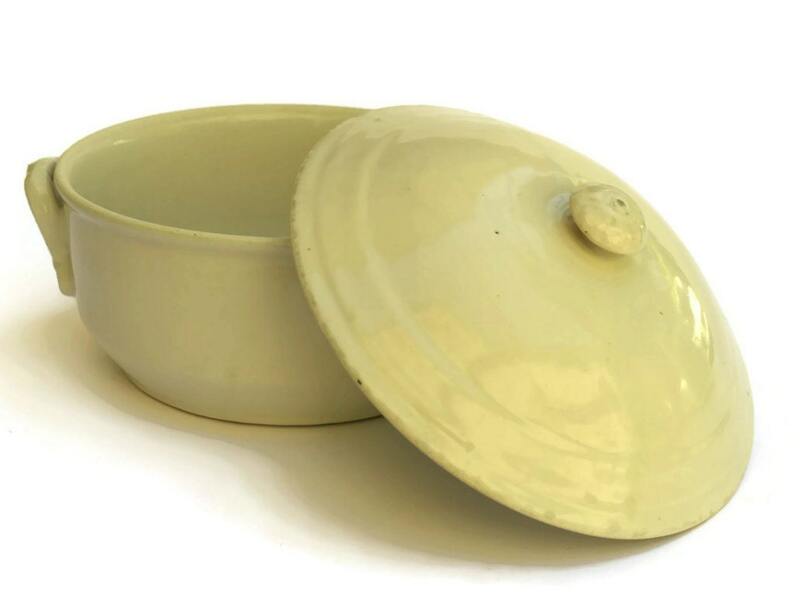 An antique French stoneware soup tureen filled with rustic charm. 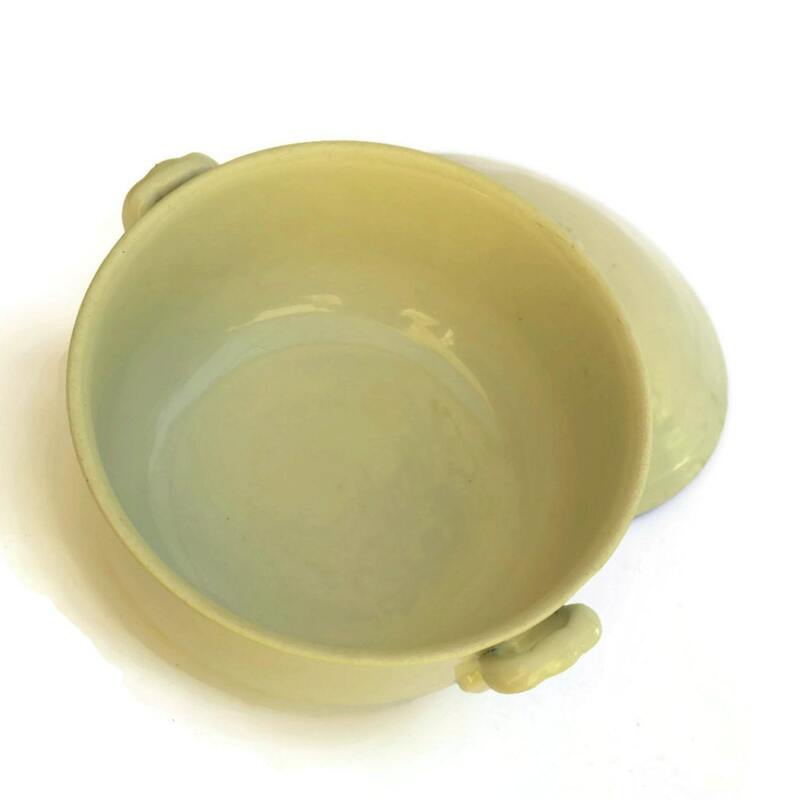 It has been manufactured from stoneware and decorated with an off-white glaze. 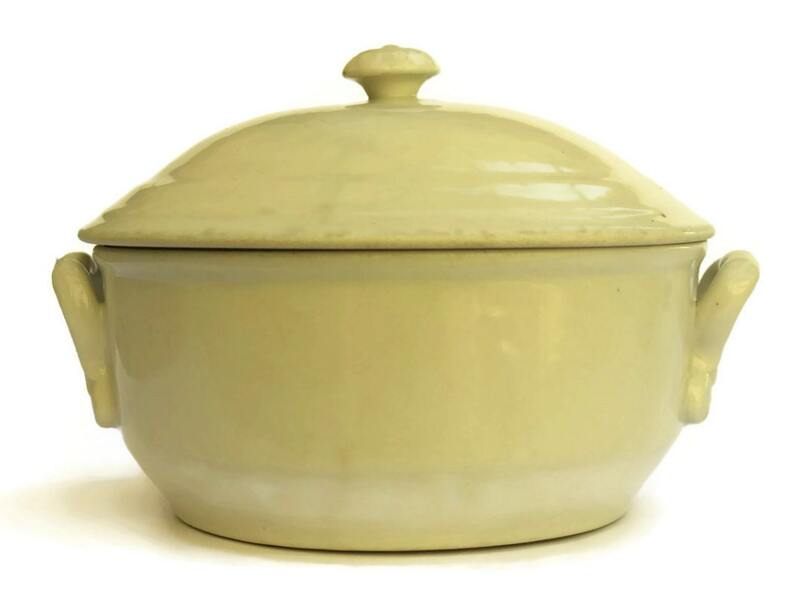 The white tureen features a classic form with ornate side handles. 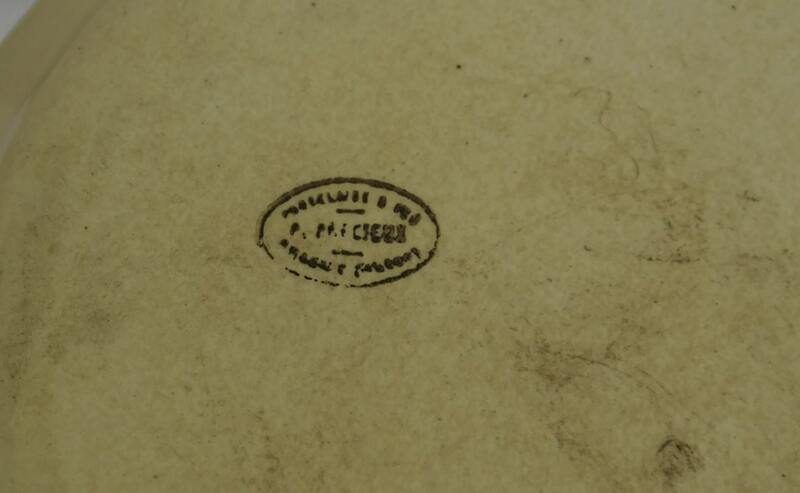 There is a manufacturer’s stamp on the base. (20 cm x 15 cm). 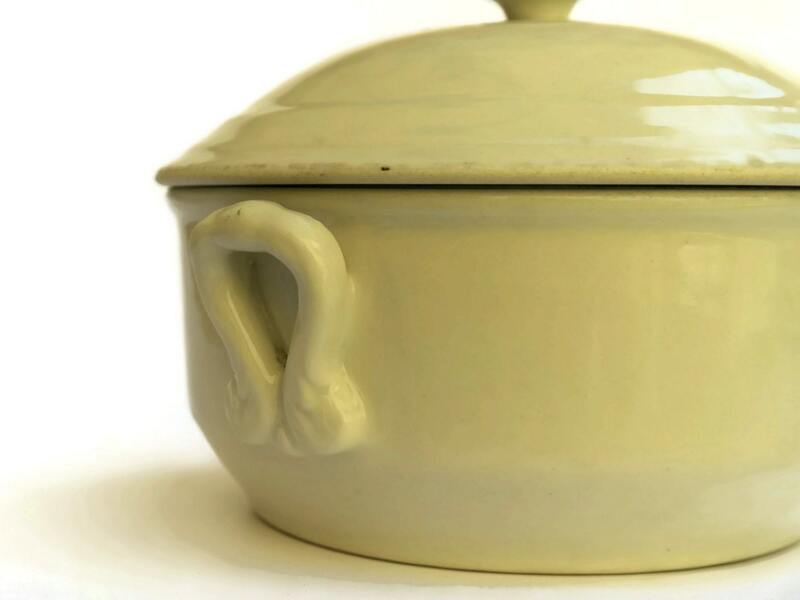 The tureen is in good used condition with light wear.